We’re finally past winter and can look ahead to warmer days. Spring is a beautiful metaphor and time of year when all of nature that was frozen by winter can re-grow and bloom. Much like nature, we too find ourselves blooming again in the spring. We wish you a wonderful season! Drift Spa will be closed on Easter Sunday, April 21 2019. Renew your sense with the light aromas of coconut oil, lemon myrtle and citrus blossom. Our Spring Features use “Clarity” butter cream, massage oil and scrub to refresh your skin and boost your mood. Gift cards are available for purchase at 844-475-3743. Text “driftspa” to 411669 to get updates on everything Drift Spa! 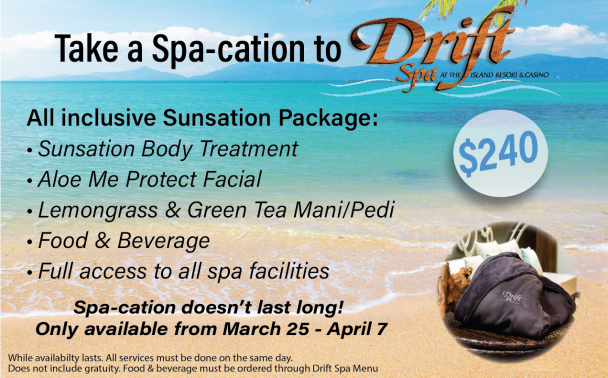 Take a Spa-cation to the Drift Spa! It’s time to get out of the snow and into some serious relaxation with an ALL INCLUSIVE package ($240) available from March 25 through April 7. While availability lasts. All services must be done on the same day. Does not include gratuity. Food & beverage must be ordered through Drift Spa Menu. Time to lighten up your hair with a few highlights for spring. 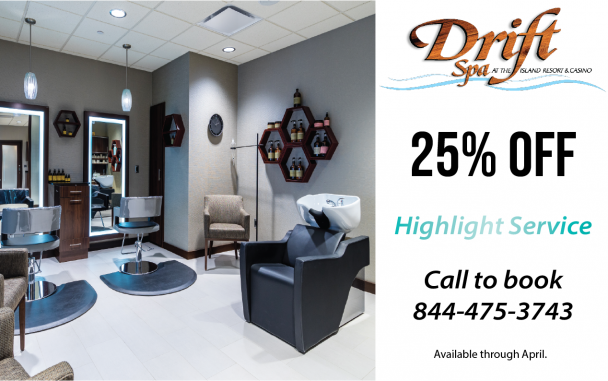 Take 25% OFF your Highlight Service at the Drift Spa Salon. Invest in clean beauty today and treat your skin to the cosmetics it deserves. 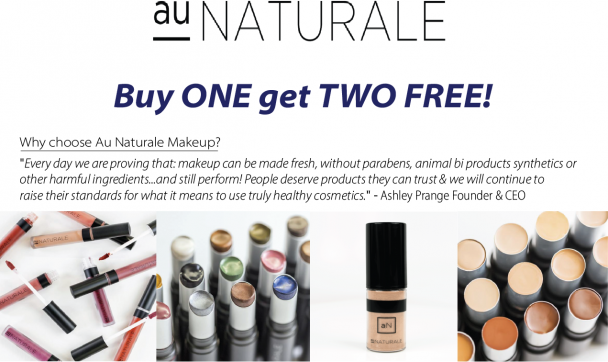 Buy One get TWO FREE of ANY Au Naturale makeup. 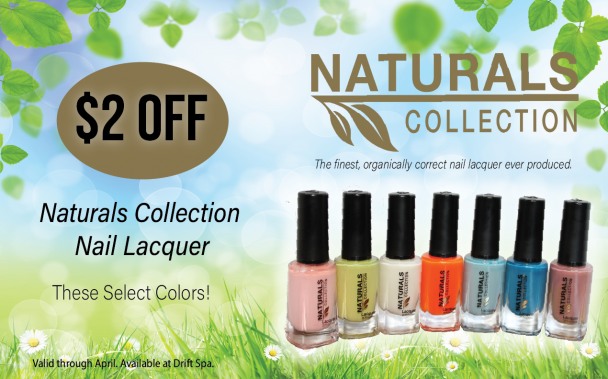 We’ve got Spring and Easter colors waiting for you from Naturals Collection. Take $2 OFF any of these select colors. Naturals Collection Nail Lacquer is produced without any toxins, harmful chemicals or nonorganic ingredients.